a century at or around the summit of the civilised world." From the charge of the 2nd (Royal Scots) Dragoons at Waterloo in 1815 , through to the disastrous Charge of the Light Brigade during the Crimean War in 1854 (cover) and on to the charge of the 21st Lancers at Omdourman in 1898, British cavalry regiments performed a fundamental, and romantic, role within the armies of King George III, King George IV, William IV and subsequently Queen Victoria. 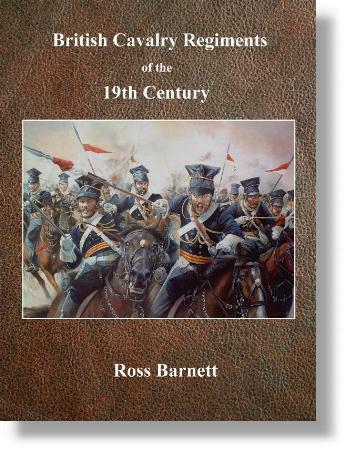 This website provides a brief outline of the history and traditions of the thirty two regiments which comprised Britain's mounted troops during the 19th Century.